The Academic Affairs Office is charged with overseeing all academic programs at Washburn University to ensure academic quality and integrity. I encourage you to visit this site often for the most up to date information regarding a variety of campus-wide initiatives. In 2010 Washburn University adopted a university-wide strategic plan. In support of this plan, an academic strategic plan was developed to move forward the identified academic elements within the university plan. The next round of strategic planning began during fall 2017 with faculty roundtables providing input into the main themes of the strategic plan framework. The proposed strategic plan framework was presented to the Washburn Board of Regents in December 2018. With the approval of the strategic plan framework, work has begun crafting unit-level strategic plans in support of the approved strategic planning themes. 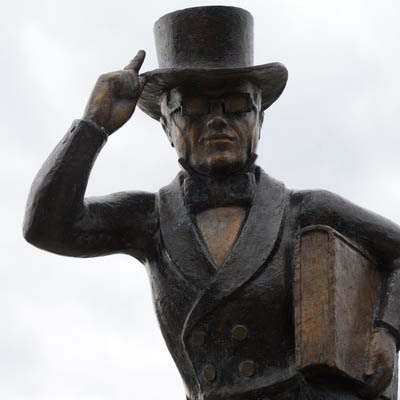 Washburn University is currently preparing for the 10-year reaffirmation of accreditation by the Higher Learning Commission which will culminate in a site visit by peer evaluators March 25-26, 2019. Information regarding the accreditation self study process is available for your review. The previous spring 2007 accreditation self study for the Higher Learning Commission is also available for your review.